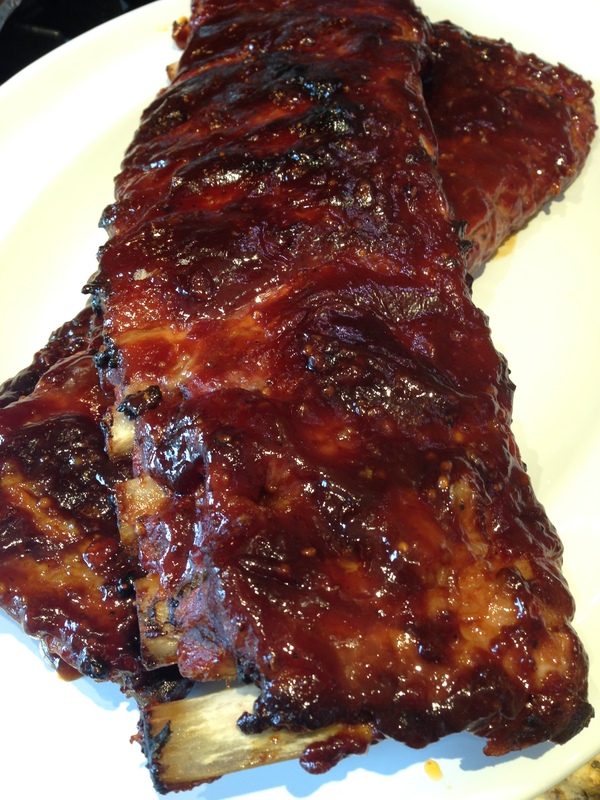 St. Louis Spare Ribs…enough to feed your crew…This recipe makes enough sauce for two nice size racks of ribs…I would say that you should be able to feed six to eight people. Fresh cracked salt and pepper for seasoning the ribs! Prepare your baking sheet with parchment or aluminum foil for easy cleanup! If you haven’t asked The Butcher to remove the membrane from the underside of the ribs…do so now…you will see a description on how to do this …in the gallery below. In a nice size bowl, whisk together all ingredients for the basting glaze. Place the ribs on the baking tray with the bones facing up. Cover with 1/4 of the basting glaze. Flip the ribs and cover with another 1/4 of the mixture. Reserve the other half of glaze for the second hour of baking. Bake the ribs, uncovered in the oven for an hour. Remove from the oven and flip the ribs over. Coat the ribs with the rest of the glaze and return to the oven for another hour to an hour and a half. This recipe can easily be made Gluten Free…just be sure to check the soy sauce and mustards….many are NOT gluten free! Whisk the sauce ingredients together in a nice size bowl. Place the ribs, bone side up on a cutting board. You can ask The Butcher to do this part for you if you wish. On one end of the ribs, you will notice a thin piece of silver skin. Use a paring knife to gently pry it away from the bone. Use a paper towel to grab a hold of the silver skin and peel away from the bones. This piece of silver skin is often referred to as the membrane. It can be discarded. Removing it just makes the ribs…that much better! Now you can season the ribs on both sides with salt and pepper. Place the ribs on a parchment or foil lined baking tray. Cover both sides with a quarter of the mixture of basting glaze. Bake, uncovered, in a 350 degree oven for a total of 2-2 1/2 hours. Flipping the ribs over on the pan…halfway though baking time and basting with remaining glaze. No one will be able to resist these classic barbecue ribs! Yum! …These ribs can be made the day ahead and heated in the oven or grill just before serving! Place the entire rack of ribs bone side up on the cutting board for easy slicing. Chowfancy Everyone! 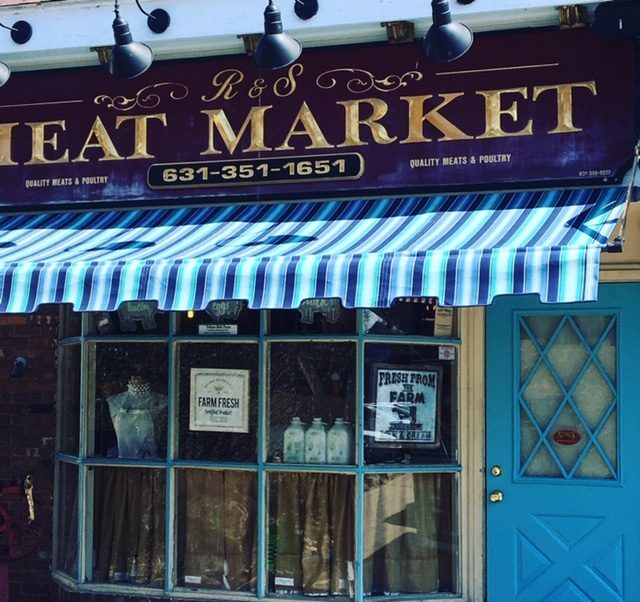 ← The Butcher Shop~A look Back~ In honor of Father’s Day!